Home » Local Business Blog » How Much Does It Cost to Repair a Garage Door? 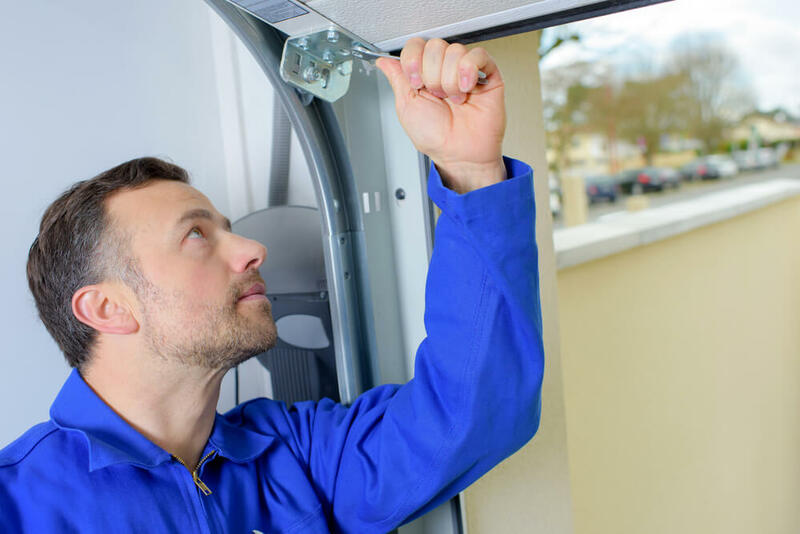 This post was written with the expertise of Calgary Garage Door Fix, a company that provides garage door opener repair in Calgary, Alberta. How Much Does Repair Work Cost? Some garage doors utilize a single spring, while others operate using two separate ones. This is a common part to break after general wear and tear. The springs are what physically hold the door in place, and they assist with the lifting. Naturally, they get worn out over time. The cable on your garage door can also experience wear and tear; it can begin to break and fray. While a replacement cable isn’t very costly, the labor of a contractor will probably be what you pay the most for. Your track is what keeps your garage door on its path. If you accidentally hit it, it can bend it out of shape and cause your garage door to get stuck. Sometimes, you can fix this problem yourself by re-shaping the track with a mallet. One feature that garages have that cannot usually be fixed by hand are the sensors. These sensors communicate with one another to ensure that the door doesn’t accidently close on your car or anyone who might be walking under it. The sensors might also experience an issue if they are misaligned and cannot read each other. What Causes Garage Doors to Break? The main reason for a broken garage door is usually wear and tear. With anything that is used on a daily basis, it is natural for it to become worn down over time. Don’t open the garage door unnecessarily, if you can help it. This is one of the only preventative measures that can be taken since your garage is used so often. Rust is also something that can affect your garage door operation. If you don’t maintain your garage door properly, rust can quickly build up. If you don’t get it cleaned up, this can cause permanent damage to your spring and cause it to snap. An alternative way that you can ensure your spring lasts is by replacing it with two shorter ones. This can ease some of the tension on your garage door each time you open it. Manually pulling your garage door open or closed is another way you can speed up its deterioration. Because it is made up of parts that are meant to work automatically, you should never force it to move. This will keep your parts running smoothly, and it will also help them last longer. Can You Take Any Preventative Measures? Make sure that the automatic opener is unplugged before you begin. Clamp some pliers onto the track to ensure that the door doesn’t accidentally close. Begin by tightening all of the nuts and bolts that you can see externally. Do some inspection for any wear and tear of the track or rollers. Take a look at your cable and see if you notice any frayed edges. Lubricate the chain and the spring with some spray-on lubricant. Check the weather seal and make sure that it is still tightly sealing. Once you finish all of the steps, open and close the door a few times. This small amount of routine maintenance can save you money in the future. If your garage door is being properly inspected and taken care of, you will be able to notice right away if things begin to work incorrectly. The best part about the maintenance routine is that it doesn’t require many tools or parts. For anything that you cannot fix on your own, you can hire a local contractor that you trust. When a dog gets scared, it’s hard to know what to do. You can’t reason with them. They may not understand that they’re not in danger. It’s important to know how to handle this.